HomeBiographyWho is Avi Dandiya and why is he in news? Avi Dandiya is a businessman in Diamond industry. He is in this field for last 26 year. For last 18 years, has been living in America. He is an NRI and works with MKD Parivar. What is contribution of Avi Dandiya in Nation ? Avi Dandiya is in news because of many reasons. He is a part of MKD Parivar (Mohabat Ke Dange in English the riots of love). He is a real and practically supporter of Swachchha Bharat Abhiyan. Swachchhata Abhiyan of is going on in Jaipur, approximately 1 lakh people are in touch with his who also tell about save plants and surrounding atmosphere. He is a founder of ‘Team Clean Jaipur‘ and ‘Scream of Soul’. Hehad much more contributed to those people who were affected in Uttarakhand disaster through cloth and food. The list of his contribution in India may be bigger what we know and in future it may be high. Just stay update with that. Why Avi Dandiya is in news ? The answer of this question is well known to you If you are active on social media. 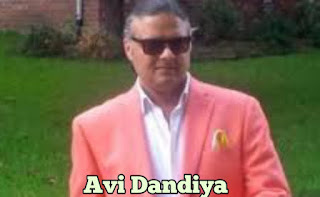 Avi Dandiya is vastly Famous on social media like YouTube, Facebook through his video. He always speaks ‘we the people of India’s and then he tells or draw drawback of situation. He not only speak about political system, Corruption but also give solid proof. His intention is not to crtisize people or government but to speak truth which is being hidden. In a recent time he was in news because of Pulwama Attack recording. Many media channels and YouTuber said that was fake recording without any authentic proof. He also gave the recording Proof with Banglore based florensic lab report. 😙😃😄 This time no one dare to make even video on it. At the time of London Press Conference Sayed Shuja spoke about EVM that time also media had biased attitude. Well Avi DandiyaJi met him and introduced Sayed Shuja us. He told,” How EVM are being hacked”. Avi Dandiya with his MKD Parivar try to aware people of India related to particular issue. But there are Bhakt or beneficiary or Political Party Bhakt who wrote fake things about him and also trolls. The Indian media hides important news from us like Kobra Post stin operation, Rojgar etc news. They doesn’t face such trolling issue because they hide what is interest of them. The hidden snakes 🐍 are living in society of India, those snakes should be treated with Lathi. Avi Dandiya, what is doing is only for the sake of India.